Our Special Christmas pack comes gift-wrapped, so you don’t have to worry about wrapping it yourself.It contains our best sellers: Intense Moisture Shampoo and Conditioner, Natural Body Cream, Natural Shower Gel and Salts Selection Exfoliant. SLIMMING AND CELLULITE REDUCTION TREATMENTThis treatment stimulates skin cell regeneration and has a diuretic effect, activating circulation and treating cellulite. For best results, we recommend this treatment every day for four weeks. MOM & BABY DERMA CAREWith very delicate products that contain chamomile and lavender essential oils, this pack was created for mothers that wish to take care of themselves during and after pregnancy. Once your little one is born, you can apply these products to his or her skin to take good care of it and calm it.Both soaps are perfect for a relaxing bath for babies and small children, and for gently daily cleaning. It’s also great for moms who want to take a minute for themselves with a relaxing shower. 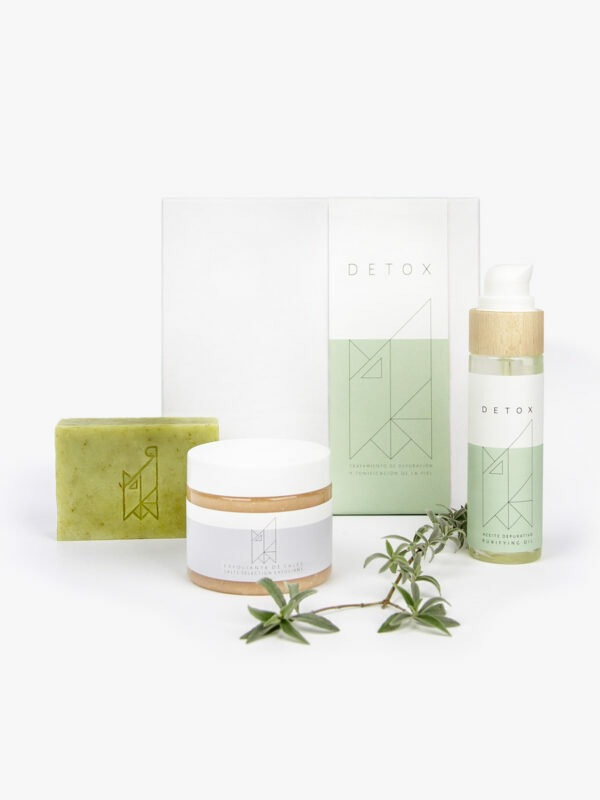 SKIN DETOX AND TONING TREATMENT 1 Detox Soap + 1 Detox oil + 1 Salts Selection ExfoliantJust like our bodies, our skin accumulates toxins. This treatment is the perfect combination to cleanse, combat water retention and tone your skin.